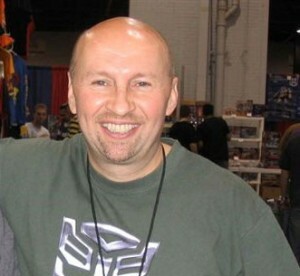 Fellow Transformers site The Allspark has posted part 2 of its interview with Tf comic legend Simon Furman about the possibilty of bringing back the original marvel comic, highlights of the interview include what he would like to do with characters and also that he would like to bring Ultra Magnus and The Wreckers to the series. Click the link and enjoy the interview. 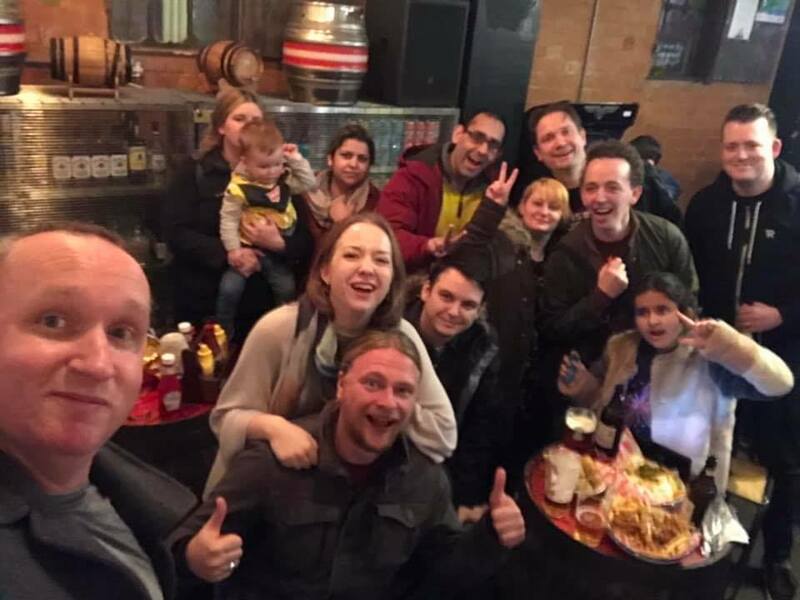 Transformers comic artist and all round top bloke Andy Wildman sent out an appeal this week for Transformers fans everywhere to sign a petition for IDW that could see Transformers #81 go into production. 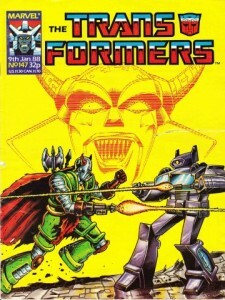 Andy and Simon Furman worked on the last of the Marvel Transformers comics in the 80s, when comics were really comics, and the story was kinda finished in a rush. Now, after all this time, it looks as though there’s a chance for that story to continue. Have a read of what Andy says below, and then sign the petition overe here. 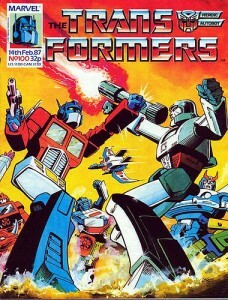 There is a bit of a buzz at the moment on the interenet about there being a Transformers #81. Thought I would add my perspective on this. 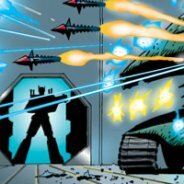 A while ago myself and Simon Furman considered the idea of picking up where we left off with the old Marvel Comics run of Transformers. For me it came about because after doing a series of six covers IDW asked me to do some interior art for their Transformers book. 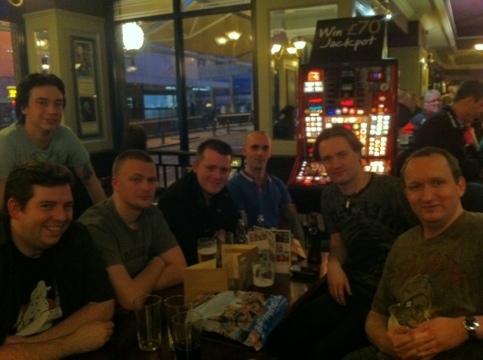 I wasn’t particularly interested in doing any so they asked me what it would take to do some. Well the obvious amswer would be copious amounts of dallar 😉 but to be honest it wasn’t about that. It was more to do with the fact that I was happy to just do cover art for Transformers and that I am busy doing other stuff these days. I gave it some thought though and put to them that it would be possible under a couple of conditions. 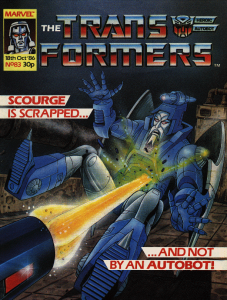 First was that I would want to work with Simon Furman. Second was that we would want to do something that had a point. Something that felt like it was really saying something. I came up with the gist of an idea and put it to Simon. He ran with it and things began to take shape. 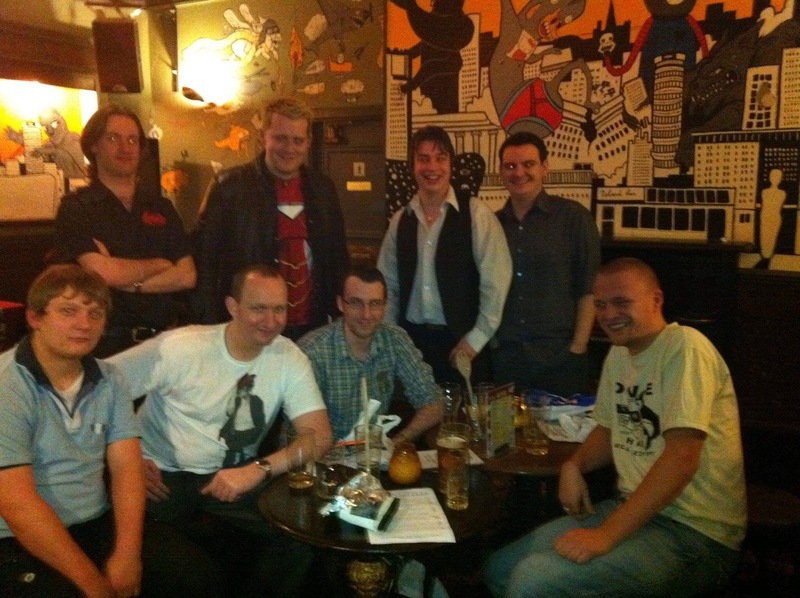 What was clear was that it fitted well into the continuity of our old Marvel run. IDW agreed that there is precedent for this with the fact that GI Joe recently picked up on Larry Hama’s old Marvel story threads. So. An idea took shape and we almost had it until the current economic siutation put the breaks on it. So where are we now? Well it is clear that IDW are not resistant to the idea but in these current times of relatively low comics sales they would need to feel confident that it would sell. So what can be done about it? If you are interested, sign the petition that is going about. Get enough names on that and it would clearly be a viable project. Of course it remains to be seen who would draw it as there are other interested parties but I think it is safe to say that Simon would love to get his teeth into it. 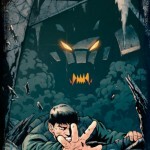 Lots more artwork has made its way onto DeviantArt, with some previews of future titles from IDW Publishing. Josh Burcham has provided the colours to All Hail Megatron #16, featuring Spike and Ravage which was shown at San Diego Comic-Con 09. Trevor Hutchison has the cover to All Hail Megatron TPB Volume 3, which, as we mentioned yesterday, collects the Spotlights Blurr, Jazz, Drift, Cliffjumper, and Metroplex. 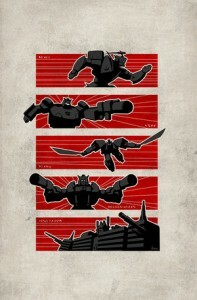 Finally, Priscilla Tramontano has clean versions of a cover and the first 6 pages from Spotlight Metroplex. 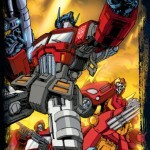 SDCC 09: IDW Announced New Ongoing Transformers Series! 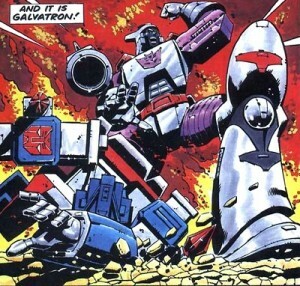 Before IDW Publishing’s panel today, they have let slip what we have known for months, that The Transformers will become an ongoing series, starting this November. 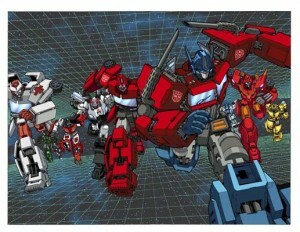 We now know the writer will be Mike Costa, who has been doing art duties for other Transformers series. The press release confirms what IDW Editor-in-chief Chris Ryall mentioned a couple of weeks ago, that there will be 3 new series announced at the convention. Look out for the other 2 very soon. UPDATE: Full press release is out, with another image and the name of the other 2 series, Transformers: Bumblebee (writer Zander Cannon and artist Chee) and Transformers: Last Stand of the Wreckers (Everything: Nick Roche). 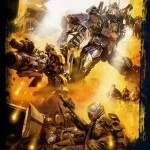 San Diego, CA (July 24, 2009) – After the huge success of this summer’s blockbuster TRANSFORMERS: REVENGE OF THE FALLEN movie, IDW is keeping the excitement going with three new TRANSFORMERS series. 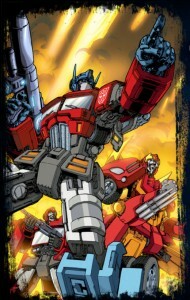 Under license from Hasbro, IDW is proud to offer fans The TRANSFORMERS, the first ongoing series in years, written by the critically-acclaimed Mike Costa. Coming in November, TRANSFORMERS #1 starts things off with not one, but two, huge events so CYBERTON-shattering that the lives of the TRANSFORMERS characters will never be the same. Spinning out of the events of the new ongoing series will be two miniseries. 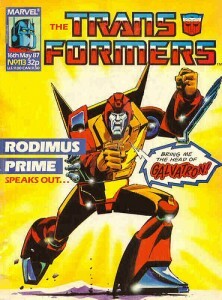 The four-issue TRANSFORMERS: BUMBLEBEE puts BUMBLEBEE between a rock and a hard place with his own friends, while TRANSFORMERS: Last Stand of the Wreckers plots the course of AUTOBOTS in space as they confront a new foe who just might tear the (Dave do these need all caps? CAPS ARE BEST) Springer, Kup, and their cadre of AUTOBOT heroes apart. The TRANSFORMERS will debut in November, helmed by Mike Costa with art and covers by returning, fan-favorite, artistic dynamo Don Figueroa. 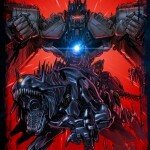 This series is the basis for the two new miniseries, creating an unstoppable combination of new TRANSFORMERS comics. Debuting in December, writer Zander Cannon and artist Chee masterfully create Bumblebee’s story in this four-issue miniseries. 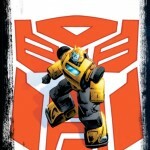 TRANSFORMERS: BUMBLEBEE spins out of the ongoing series and is a must-read for any fan. 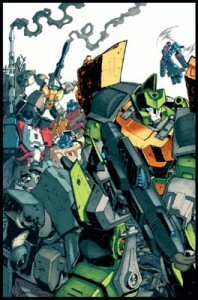 TRANSFORMERS: Last Stand of the Wreckers is set in space concurrent with the ongoing series. 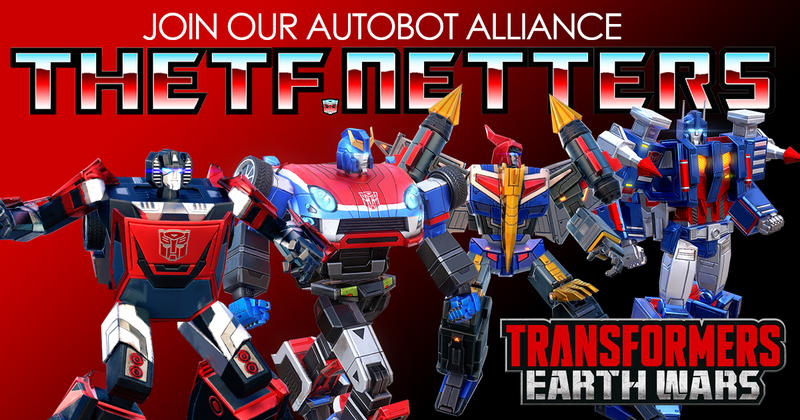 Shedding light on the conflicts outside of Earth, long-time TRANSFORMERScreator Nick Roche masterfully foreshadows upcoming events in the ongoing series, while taking fans on a wild ride. 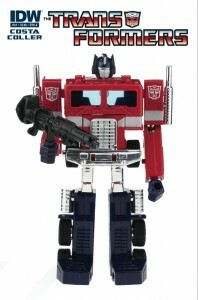 The TRANSFORMERS will be available in stores in November. TRANSFORMERS: BUMBLEBEE will be available in stores in December. 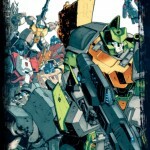 TRANSFORMERS: Last Stand of the Wreckers will be available in stores in January.